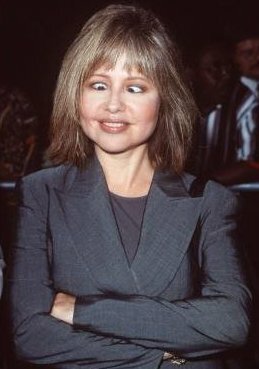 I always thought that Pia Zadora was Italian. In fact she was born to Italina/Polish parents in Hoboken, New Jersey in 1954. After a rather up and down acting career (i.e. she wasn't very good) she moved on singing, where she was more readily accepted, by the masses at least. She was 35 in 1989 when even the singing career seemed to be faltering. Heartbeat of Love was one of her last singles (check out"Dance Out of my Head" here too, it's rather good) and she's all but disappeared for the last decade. In 2000 she looked like this, so perhaps staying hidden for a while would be a good idea? Before disappearing, she did give us Heartbeat of Love, a distinctly average song that some bright spark at CBS thought should be remixed by Clivilles & Cole, and frankly why not? If anyone could shine this turd, they could. Their Freestyle mix is 'heavily inspired' by Yellow Magic Orchestra, and the house mix pinches bits of Lil' Louis' French Kiss, a huge hit that year. Using cheeky hooks from elsewhere was a C&C strong point. So, a curiosity rather than a classic, but surely anything by Clivilles & Cole is worth a listen? You can download Pia Zadora "Heartbreak of Love"
Never heard these mixes before. Thanks for posting them, i don't think C&C ever did a bad remix! It was a tragic end to their partnership when david passed away in 95.